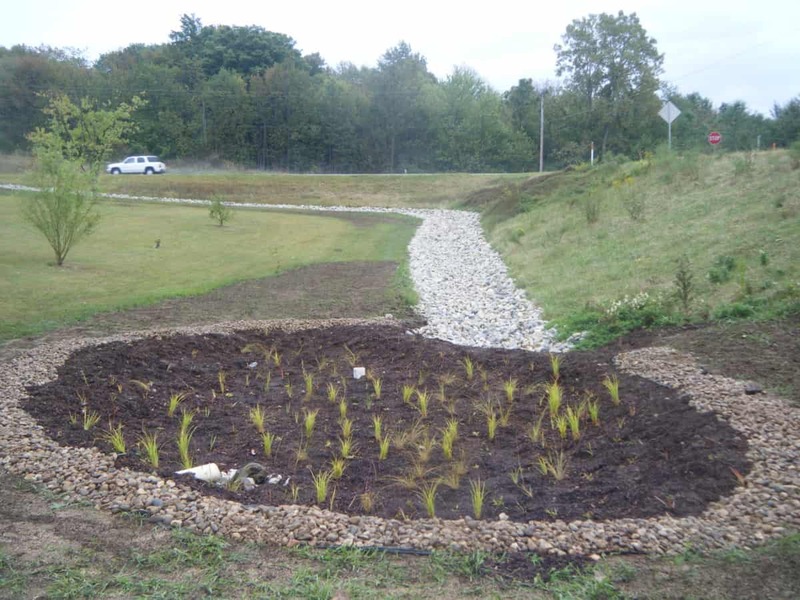 Two new rock-lined channels, a rain garden, and a native plant bioswale are now reducing muddy runoff and pollution from State Road 9 into Little Crooked Lake. Sediment was reduced by 48 tons per year and phosphorus by 34 pounds per year. Seventy-five percent of the $46,800 project was paid by a 2009 IDNR Lake and River Enhancement (LARE) grant. Twenty-five percent was through in-kind labor from 17 local volunteers as well as a cash match raised by the Crooked Lake Association.